Valvoline Instant Oil Change Waldorf, MD, 143 Saint Patricks Dr. I only had to wait due to someone else being serviced but my overall experience was MARVELOUS. The conversation and friendliness of the staff was REMARKABLE!! I’ll DEFINITELY be returning, and referring this location. Michael, Julian and John were the BEST!! Thank You for hiring such perfect gentlemen. They explained the services and cost very well. I believe the managers’s name was John ( Waldorf location). He was very professional and considerate while working with me and answering questions from his staff simultaneously.
! 've used this location in the past for my other vehicles but this time was more more enjoyable than in the past. The person I dealt with was very knowledgeable and not pushy, characteristics I did not find in the past. I'll definitely be returning. 4 cars in front of me 2 bays. And includint my oil change and wait was over and hour. When i have to pay over $100 for an oil change I expect it to be quicker. Much quicker at jiffy lube and they vacuum my truck. Overall efficient and speedy service. I pulled up and was serviced right away. I had my oil changed and wiper blades changed within 10-15 minutes. The speed and service on the car itself was great, however the person that checked me in and checked me out on the computer was not very friendly... certainly was not mean but definitely not friendly. Seemed like maybe he was having a bad day.. not too big of an issue but definitely not the same friendliness I have experienced from prior visits. Great customer service!! Team was very knowledgeable and I didn’t feel pressured to purchase anything!! Will return again!! John Williams provides me with great information of services I was due for but did not pressure me into buying them during the visit and his team had me in and out in minutes with a great overall experience. The guy inputting my data was nice and helpful. You’re oil changes are expensive because the dealer changes it for less and I usu go there because they charge me 35.00, by going to you I paid double! And honestly I think it’s to expensive! The service technician noticed I had a bulging tire and pointed it out to me. Because of his attentiveness, I was able to get that taken care of without danger of a blowout! My husband and I really love how the staff are here. Very friendly and personable. the price for an air filter was $26.99 and I can buy it at an auto parts store for $12.99 and do it myself. I understand paying for convenience but that's crazy. Cost was more than I thought it would be Did not like being pressured to purchase other things Very pleased with your staff ! I have been using valvoline for many years the staff has always been polite and courtesy. I would like to shout out the my service adviser and the team; I asked them to see if I needed a engine air filter. They noticed a squirrel nest it was bad. The team removed the nest and cleaned everything out. awesome job!!!! Thanks!!!! Always very friendly staff and very knowledgable about service reccomendations. Work always done in a timely manner. Very quick, professional and informative! Customer service by all that that I had immediate contact with. The staff is very trained and knowledgeable in their mission. Very courtesy and always explain the process. Once in the bay, the techs were professional, friendly, and prompt with the service I needed. Was my first time and liked the convenience of staying in vehicle. Will go during the week next time as Saturday was busy but the guys handled it well. Always quick, easy and friendly! Just like the overall experience. Prompt, professional, courteous service at a competitive price. This was my first time at Valvoline so I didn't know what to expect. I was greeted and given instructions on where to pull up for my service. I was greeted by my technician and he explained the process of the oil change. They made sure I understood the different oils provided and recommended the best option for my car. I was very satisfied with the customer service as well as the services provided. I will definitely be back. I was highly satisfied with my experience because there wasn’t a long wait, the staff was friendly and professional, and I was hassled about getting additional services. The wait was less than 10 mins, the employee was very informative (informed of the services available; tire rotation, lights exchanged, filters, etc), and I was not pressed to purchase more services. Quickly completed the requested service ice and offered to update my electronic record with major service completion dates even though they were do e by a competitor. The staff is always friendly and informative. They do an excellent job explaining anything that needs to be done. Please commend them! The service was professionally administered and they were well knowledgeable and shared the information of the service given. also despite the wait the service was timely. Attendant was very friendly and had awesome customer service. The Reps are always professional, friendly and courteous. This is why I travel from Clinton to Waldorf to this location. Always a great customer experience. The service technician was very thorough in his explanation of all services being done and those required for the vehicle. I appreciated him explaining the process and getting it done in an expeditious manner. Service was prompt, personnel courteous and knowledgeable and I left with satisfaction in believing my needs were professionally attended to. it was done very well and quickly. Good communication, fast service and good prices. You all used to give a military/law enforcement discount, which I was I used your store. I guess you don’t offer that anymore. Highly satisfied requires going above and beyond, the associates were courteous and did their job. I asked questions they answered. It was all very routine. Overall they are excellent at what they do! Good staff. Fast service once I got in the bay. It didn’t take too long. I never got out of my car! The young man who waited on me was very polite as usual and gave me great information on the synthetic blend oil. The young lady changed my daytime running light knew her stuff.They forgot to reset my oil gage but I will stop by one day after work and have that done.The staff is very friendly, professional and knows their stuff!!! Good customer service, friendly staff, quick service once it was my turn. Crew was efficient and friendly. Price was about right. Speedy service. Good experience. I didn’t have to wait that long - only about 7 minutes. The staff was courteous and professional and my car was serviced very quickly. The staff was friendly knowledgeable and very professional! Though about $10 more than my normal $69 oil change, the quickness was well worth it!! Friendly customer service and QUICK and convenient! The technician that greeted meet was very professional and did an excellent with explaining the service provided. I was in and out within 20 minutes. Way over priced ,can do it my self for half the cost .80 $ for a blend oil ,i can get that half of the cost at my dealer with tire rotation ,but would have if they had something open . I was greeted and while answering his question, he started talking to another employee and then came back to me with the same question after I already answered. He did this three times. I felt this was very unprofessional considering the conversation with the other workings were "joking and had nothing to do with his job". I also witnessed him respond to a female worker in a condescending and unprofessional matter. Again, he was so into everyone around him conversations that he struggled to convey information to me. I will be back for the convenience but hope I do not have him as my technician. As a business owner I would never want someone like him to represent my company. The other young man (the one who guided my car in the shop and worked on the car from the top) was very pleasant and professional. Customer experience is always great, period. That's why I travel from Clinton to Waldorf. The service advisor was very much helpful; when I asked him about coupons he had taken care of me. Thanks. The attendants were very polite an professional. Clear an concise with what service was available to me. Wasn't trying to sell me or make me feel pressured to do anything I said no about. Valvoline Service Team did a awesome job at my 8,928 mile oil change/service. It felt good to recieve professional attention, professional, accurate, Fast, knowledgeable and most of all courtesy and friendly service. I appreciate such a wonderful experience with Valvoline Service Team 1/4/2019. Stay athletic, strong and professional. ⛹🏈🏀⛹ Thanks guys! Fast and all the staff was nice. I was satisfied but the staff was busy doing other things and didn’t give me the receipt and i had to wait for them to realize that they didn’t open the door for me to exit when they were done with my service but overall I was satisfied. The attendance were “super” nice and friendly! I only go to Valvoline for my oil change. The workers are extremely nice and helpful, they let me know if I need some extra work done without pressuring me. The employees are very customer friendly and know their work. I will continue to get my oil changes their and have recommended others to go their. The staff very polite, friendly and knowledgeable. Quick service. In and out. The staff was very courteous & my visit was super convenient! Actually I was highly surprised how quickly and professionally the team worked together. The overall experience was superb. Very thing was clean and the service was great. The team was fast and knew exactly what needed done to my vehicle. Well done! I was highly satisfied with my experience and your very informative staff and amazing customer service! !Tarik explained everything to me in detail, asked if I had questions and was extremely friendly. My overall experience was Marvelous! I was highly satisfied with my service, one because there was not wait when I pulled up. Then the Representative was very friendly & knowledgeable of the products. He explained everything very well, and made it clear on why I needed these services. He even made suggestions on things that I would have never thought of... He was overall AWESOME! I have never had this experience anywhere else, this is by far the BEST SERVICE i received in my lifetime, NO JOKE! This is the Place to be for Quick, Friendly, Reasonable & Quality Service!!! for me it's all about the convenience, I do find the price a bit high though. The outstanding service and promptness and professionalism of the technician. Very fast. Everyone was super kind. Will be back. TODAY, Tue., Dec 4, 2018, I keep getting a message that says that my OIL PRESSURE REGISTERS LOW. I was told by your attendant that they charged me for 6 quarts of oil and that while 5 quarts is the usually recommended, that my van used 6 quarts. So, why is there a low Oil pressure message registering over and over again on today? My first time at this site and I didn't know if I had to sign in or wait in line. I waited in line and got off my vehicle to ask someone inside if I could get an oil change. Overall it was a good experience. Great customer service and consistent pricing. The service provider didn't try too sale extra services I really didn't need, fast and easy questions, and they knew from previous visits and knew exactly what I wanted. I was highly satisfied with my experience because the technicians took time to explain everything, they were friendly, effecient and didn’t push me to pay for any service that I did not immediately want or need. Great place for oil changes. I have many, many options for oil changes to choose from. Service was quick which I needed very much with 3 small children in the car. Representatives were courteous and knowledgeable as well as informative. My service team was wonderful. They explained everything to me. Service was quick and very professional. Thanks for the amazing service! Replaced my head lightbulb fast. This location is the BEST by far. The workers are very friendly , they check lots of things that other places don’t ,they pump up your tires ,change your oil filter , top up your fluids all within 15 minutes it’s just remarkable !!!! Very professional, confident, efficient team workers. . I was extremely satisfied with the service and professionalism of the staff. I will be returning in the future. Because they don't do brake system flushes. Quick service and friendly technicians, which normally draw customers backplus I like, that you don't have to get out of your vehicle for service. Was satisfied with the service but not the pricing. The customer service was outstanding and the manager was very skilled with his staff, the prices are high compared to other places tho. The customer service received. The reps were very professional and friendly and efficient. Recommended wiper blades that I desperately needed. I always have a positive experience at this Valvoline. Each technician that I came into contact with greeted me and double checked to ensure that I was being taken care of. They got me in and out as quickly as possible while still providing great customer service. My technician made the experience super personal! I love the convenience of not having to get out of my vehicle to have the oil changed and other items done. I LOVE the friendly and professional staff. I have NEVER had a problem with the techs leaving my oil cap off as other places have done in the past which messed my engine up.Great service and quality all the time!!!! These employees deserve raises and bonuses!!!! The overall process from beginning to end . The technicians were all knowledgeable and informative professional and gave a great service. Oil change $ was a bit higher than expected....even with a coupon! The service was good and professional i like being able to stay in my car. I am always highly satisfied with the service I receive. There was one occasion several years ago where I discovered my oil was leaking which I suspected was due to the oil filter not being properly fastened. I brought it was, they confirmed my suspicion was correct, and immediately fixed the problem. Again, this was several years ago and mistakes happen. The fact that they owned up to it and immediately fixed it meant a lot as far as my repeat business through today. My customer experience has been consistently Outstanding. Continuity is important. It doesn't matter which Service Rep is there. The service is the same. That's how it should be. That's why I keep going back. Customer Service is ALWAYS great there.. The Service Tech was both professional and knowledgeable. He did not attempt to talk me into purchasing additional services where not needed. I would definitely use this location again. Always satisfied with the warm welcome and the professionalism of the staff here at this Valvoline. The service is exceptional. The staff explained full synthetic oil to me. I paid a different amount than I usually pay, I did not receive a receipt, nor was I given a price breakdown. The tech that worked with us was very knowledgeable and courteous. Everything went smoothly and quickly. It was easy. I did not have to get out of my truck. Did not have to wait. Rep asked questions about vehicle history. I will be coming back to this place for further work. Staff is always cheerful and professional. They always explain what they have done. And I never feel like I have to by anything extra while i'm there. The customer service representative was great. He was polite, and very personal. Very friendly staff. Did not try to talk me into unnecessary services. Job well done! Fast, friendly and efficient experience...that's what I'm used to with Valvoline. Was able to pull directly into the bay for service. Car information was retrieved from the computer in a timely fashion. Technicians were knowledgeable and changed the oil quickly. Also were knowledgeable on how to reset car notifications as other shops previously visited had no clue. Love the service but unfortunately have to drive 30 minutes to get to. Valvoline is not centrally located in my area. I was informed that my car doesn’t take the conventional oil I expected to purchase for a lower cost? So, I spent more than expected. However, I was able to use a coupon to help reduce costs. Otherwise, my visit was great. I wasn’t highly satisfied because I bought my own oil with me but the price was still the same. I had to pay more money to use their filter because I bought the wrong one. At other instant oil change location it’s cheaper if I bring my own oil. So I was disappointed about that. The prior question should be highly satisfied . As the screen changed it said not satisfied. The service personel where highly knowledgeable, professional, quick to service and not pushy as some reps can be to try and force you to purchase the higher product. He merely told me the difference and let me decide. The service was quick and I was not pressure into purchasing any additional services I did not want at the time. Everyone was friendly and recommended service but weren’t pushy. The staff did not greet me before asking if if was there for an oil change. He was joking and holding conversations with his colleagues as if I was not there. Excellent service from the staff. They were prompt, professional and courteous. Always very satisfied with service received. Staff is pleasant and knowledgeable of services provided. The amount of time spent was excellent as usual and the coupon helped. Workers installed fog lights I brought in at no charge, following up with pledge they made at my last visit. Extremely impressive. This may have been because of large amount I paid for other services, but quite impressive nevertheless. the service is always great and the people are always friendly. I went to get an oil change because the light cane on. Not paying attention to my sticker, I took my truck in anyway. I was Ted upon arrival that it was but indeed time to get an oil change according to their records. They double checked to make sure and sent me on my way. Excellent customer service! They were pleasant and prompt .Who had done the service which is good for this area. Ive been using this service for a while and each time the employees are friendly and thorough. Fast oil change. No pressure for other services. The value is not there. I was charged 80 bucks and I was there over 35 minutes. I think I will go to another facility and seat in the waiting room. The service was outstanding and I was done in 15 minutes! Very quick. Showed me my oil level after completing. I was also impressed that you had young women working there as well in the service bays, not just customer service or register! Allison the technician was very friendly, knowledgeable and helpful. I had an oil leak after a change 2 days prior. She explained why I had the leak and how it would be repaired. She didn't rush through the service and I really liked and appreciated her manner! The service I received is the service I always receive. The Service people are professional, courteous and And friendly. This is why I keep going back to the Waldorf location. They should be commended for the excellent customer service they provide. More often than not, they don't have my engine air filter...this is the second time in a row they didn't have my air filter...it's a 2017 Chevy Cruze...they said because it's too new of a vehicle so it's not in stock yet...I've had the car over a year...really? Service rep was friendly, and explained everything thoroughly. No high pressure sales tactics were used. The staff was friendly, worked well together, which made the entire experience very smooth and fast! Outstanding service staff with great customer service. I bring all my vehicles here and recommend to everyone I know. The price of the Synthetic oil was A noodle pricey to me. Valvoline is my go to spot for oil changes. This visit was quick and the technicians were knowledgeable and courteous as always. The working were very nice ,respectful and explain every detail to me of what he was doing to my vehicle. Very satisfied. Thanks, Valvoline and staff. This location was great! I usually go to jiffy lube but I will definitely return! I was greeted as soon as I arrived and the process was short and entertaining! Thank you so much! My service provider was friendly and gave me a ton of information on the best services for my car! I received immediate attention. Directions were clear and pleasant. I was showed parts which were recommended to be replaced. My car was serviced start to finish very quickly in less time than it would have taken me to get signed in with the dealer I have a service plan with and they are not always pleasant. Good Folks, In and Out In No Time. Very professional, polite, informative service was quick and accurate always a pleasure to do business there. Said he was going to check cabin filter but i guess he got frustrated because it was hard to get i and just decided not to do it and don’t say anything. There was conversation when they opened my hood about something to do with the transmission but didn’t say anything to me about it. My invoice says transmission fluid was ok but on my drive home the transmission temperature came on and it has NEVER come on before. Fast, knowledgeable service. I really liked the maintenance suggestions based on CarFax maintenance records. I wasn't greeted by a representative when I initially pulled up outside the bay. Now I must say, it was raining and that could be the case why.Secondly, once I pulled into the bay, the gentleman assisting me wasn't speaking loud enough as I sat in my car. I had to ask him several times to repeat himself. Because service was efficient and the location from my house is perfect. It was a much faster experience than I've had with Jiffy Lube, nobody pressured me into anything, and I was able to stay in my vehicle. The customer service was great. I was in and out in no time, I also made sure to be there when they opened to avoid the crowds on Saturday. It was a very quick service. I was in and out quickly! The service representive was very honest about the service I needed . I was not due for a oil change because of the type of oil I use I was able to longer . The service was quick and the gentlemen who assisted was very courteous and explained everything in detail. They don't push the other products on you by making you feel that your wouldn't last a month without it. Staff were courteous, friendly, and professional. Outstanding customer service. Usually when I go for an oil change. They go over several details of the car and what I may need to fix in the near future. The only thing that they did was to pour oil, check lights and that's IT! TERRIBLE SERVICE. don't think highly satisfied is apporiate.nothing is that great now a days. I go to Valvoline for quick oil change service. Please stop trying to sell me additional services. TJ and the young Light skinned guy with the curly hair was amazing!! Very great service! I was not asked about any other services needed or explained what was going on w my car. The entire staff was too busy having conversations on hip-hop vs R&B. This was one of the best oil change services I’ve ever used. My Valvoline Rep. Link was awesome and was able to explain to me everything that was happening and was able to recommend the best option for my car. He was very pleasant and professional and even made small talk just so that I felt comfortable. I was highly satisfied with my experienced mainly due to the customer service and friendliness of the tech that was assistanting me. She was knowlegble and professional. I have never been to a Valvoline before for anything but due to the experience of my first visit I will be coming back for all my furture oil changes. I was greeted and was checked in and was told I was early for a oil change so I got a top off and will be back to get my oil changed later. The crew at this location always delivery top notch service! Staff was super friendly and knowledgeable. Clean work area and team seemed to genuinely care about each other and the customer even more. I have been a customer at this location for over twenty years. Service at this location is excellent. I'm more than highly satisfied. Ali was great. She told me what my truck needed and did everything swiftly. Every visit is fairly quick and the technicians are always friendly. Great Staff!!! Professional. Thank you!! Will see you again. The staff is always extremely courteous. I received the service I payed for at the price I agreed to. I think the price is high but I am willing to pay that amount for the convenience. The Team at the Waldorf location have been consistent in providing a great customer experience. This why I like going there. Hastle free. Please commentAnd them. Technicians have always been polite, patient, and knowledgeable. They try to make small talk so there are no awkward moments of silence. But, most importantly, they offer services without pressure and complete the task at hand quickly and efficiently. The gentlemen that helped me for most of my oil change came out very rude and short. The old fashion, “hello, thank you, and please,” is what I am used to at the other Valvoline Station I go to. Towards the end of my oil change another gentleman came and was more friendly and courteous. The service is always quick and I never have to wait over 5 minutes to be seen. Very professional staff. They were very nice and attentive. though it was a wait, it didn't take too long. The staff was very friendly and knowledgeable. Overall, the service was fast. work completed in timely manner versus have to wait for over an hour at other oil changing facilities. Good service. Good quality oil change at a fair price. The technician was very nice and helpful. Service was fast. Staff very professional service was expedient. The price of a regular oil change is a bit high. Polite and professional staff. Very quick service even during rain storm. Customer service and overall friendliness between co-workers and customers! The gentleman that waited on me was very friendly and explain everything to me. I did not receive a receipt for my services, after realizing that I did not receive it, I checked to see if it was emailed to me and it was not. One of the guys, I forgot his name but I think he was the assistant manager, tried to fix my hood. The hood wasn't closing and had t been for a couple days before that and he worked for about 10 minutes trying to fix it and then told me why he couldn't and what I needed to do to fix it. Also, the guy that did the rest of the transaction explained the stuff I needed to get done based on what the computer said. Everytime I come there for my oil change the workers are very knowledgeable, friendly,helpful & professional. Once I came to early for an oil change and the gentlemen checked my car and told me my oil was clean and it wasn't time. I have recommended Valvoline to my family & friends. Level of service and the convenience. It was an honest experience. Price higher than Chevrolet dealer. Staff were knowledgeable and friendly. Service was performed at lightning speed! Was in and out very quickly, no pressure to buy services I didn’t need. Great place! As soon as I pulled up I was able to pull into the Bay area. The two staff members were friendly and professional. They were knowledgeable and advised me of my options for the service I needed. This was my first time visiting this location and I will return. It is very quick and the Technicians were courteous, friendly and explain what they did. They even showed me the oil stick to let me know how to read it. Definitely will use again. The last time I visited a year ago and the staff was very inexperienced. This was a 360 degree difference from last time. No wait time, Fast service, Awesome job. Thank You! I waited about 30 minutes prior to anyone pulling in behind me in line. Then someone came up and starting yelling cars to pull into lines in the different bays. The line for the bay I waiting for, I was the second in line and third car in line overall. I waited an hour and a half overall. I watched 4 cars pull in and pull off next to me who were not there when I pulled up come and go. The guy servicing the car in front of me was laughing and joking so hard and I was blocked in. It wasn’t until I opened my door and asked why did 4 cars come and go while I sat for an hour and a half that someone even mentioned it to the gentlemen. He had the nerve to say “I didn’t know.” It’s kind of hard to miss two cars waiting in line. That was not only disrespectful of customers time but just wrong. They pushed the guy to another bay. The damage was already done. He must have known the person in front of me. He should NEVER work alone. My radiator was gulping fluid, they checked it and filled it previously. I had them check it again and they filled it and got the air bubbles out of the line. They always provide honest and great service. The Service personnel was very professional and knowledgeable..I will definitely return to get my next oil change here..
Signage not clear, I lost my place in line because I was not aware of the Valvoline Instant oil change process. I was told if I purchased an air filter I would get and additional amount off. I did not receive the discounted price quoted. I was emailed a receipt not handed a receipt. I was not given any explanation of the charged amount. My car was serviced promptly and to my satisfaction! Always great customer service when I come in. The technician remembered me from my last visit. The experience was okay, but I don't think I would return. As always, no pressure to get services done. They might note something, but you never feel like they're pushing you to spend money. They're super fast and professional every time. I used to go to Jiffy Lube MANY years ago and I always felt like they were jobbing me. Never feel that way at this place, which is why I got an extra service done this time. The staff was friendly, communicated what would be going on and the service was very quick. I was just satisfied, no major problems encountered. The guys were excellent they got me in and out while explaining every procedure. I like the team work and checks and balance that make sure are done correctly in a timely manner. Friendliness of team, experience and cleanliness of building. Also the location helps and fair pricing. Technician's were quick ,smart and knew their job. The oil change was quick. I guess I was expecting my fluids to be checked too. I love using this service because I don't have to sit for hours. Great customer service. Superior professionalism all around. Everything was smooth sailing, no worries, and no complaints. Always done right and in a timely manner. all though service is great I find the over all service a little pricey. therefore I rate the service as satisfied. The technician was very personable and had great customer service! The tech explained everything about my transmission flush. I was very satisfied. Convenient! Fast! Friendly staff! And I like the fact that they show you exactly what’s going on. To expensive and the wiper blades and tag light could have been purchased elsewhere cheaper! 200.00 plus for a oil change is ridiculous! We will not be coming back! The tech that worked on my truck was the best tech I’ve had at valvoline. I appreciate that. Other techs seemed irritated to be there. It's an oil change - I don't want to have to schedule it or drop my vehicle off for service to be performed. Valvoline is convenient and the wait is usually not that long. The technicians are friendly, too. The service was great. They didn't turn me away when I arrived 15 minutes before closing. Thought they were honest and professional. There was 1 car waiting with 3 bays. Once the car in front of me went in, the team showed me which of the 3 bays I had to go in. I was sitting in my car wondering if they saw me. I was in and out in a reasonable amount of time. The cost for the service was good. There was an issue with the oil pan that the dealer lied about. The tech and the manager both apologized for the oil change taking longer than expected and explained the problem with the oil pan. They told me options for getting it fixed and explained the how the universal plug that they used worked. The customer service was wonderful, even more so in light of the bad service received from the dealer. Thanks, Drew! I received an oil change and a tire rotation. The wait was just a bit too long for my liking. I waited about 15 minutes for the oil change and then was told to move to a different bay for my tire rotation, which I was fine with. But then I waited an additional 20 minutes to get into the next bay. I believe overall including the wait time and the service time I was there just shy of 2 hours total. I was completely satisfied with my services though. The staff was very friendly and knowledgeable. Have always experienced friendly and professional staff with each visit. I have been presented with what areas need attention, other than the oil change, and have been offered that service but have not been pressured into purchasing. I may pay a little more than another place but I am very satisfied with the service. My whole family uses Valvoline. I pulled up at 0805 ready to drive 300 miles out of town and I was on the road by 0825. Very nice and quick. I ate my breakfast in my car while the oil and air filter were changed. Perfect! In and out in nothing flat. Very nice and professional. I like that it doesn't take long to get the oil changed and the staff is always friendly. One thing I would work on is making sure the customer knows you have performed all of the services expected. I usually have to ask to make sure they checked my tires. Once I got into the service bay the oil change was quick. They told me of other things that needed attention and gave me a print out. Just replaced air filter, but was told I needed another one. I declined the service. Then I received a sheet of paper of recommended services I needed, almost every item was checked. Weird. Customer service was great. I wish remember his name. He was so nice and pleasant. The friendliness of the workers was awesome. I’ve never been to a instant oil changing place before. I was skeptical about it, but it turned out to be the best experience I’ve ever had getting an oil change in life. I’ve told many people about my visit. Person assisting us was very professional! She explained everything well and answered all our questions. Nothing to explain. Every time I go there they take good care of me. My entire family goes to Valvoline. The service was excellent. No wait time for service. Attendants were efficient and worked as a team with each person responsible for specific tasks. 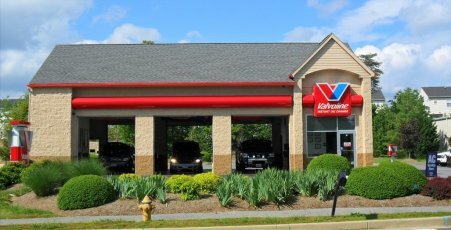 This was my first experience at Valvoline, the staff was super nice and knowledgeable, they went into great detail to explain every thing to me that I had questions about, I will definitely return to get my oil changed in the future. They were very friendly and fast! The young man directing me into the bay was impatient and somewhat rude. (However, the individual that actually facilitated the oil change, was very nice. )The staff was more engaged in chatting with each other than in focusing on the work. Overall great and fast service. quite a bit pricey for an oil change, my only reason for doing so is I waited to long to get it done using my normal route and just wanted it over with so I guess convenience was a major factor for me. It service was professional and the product is very good. Also, you offer coupons to defray the cost. The service was good however we had to play musical cars in the service bay based on when you arrived. There was one car in front of me at bay #2. I pulled in bay #1. The car in Bay #1 finished first. Technicians had the first car move to Bay #1 then I moved to Bay #3 and the person in #3 moved to #2. Seems like a better system can be implemented. Staff was courteous, checked/filled everything, completed the oil change and was out within 20-30 minutes. It was the staff. They were extremely professional, and friendly. I also liked the fact that they seemed to work so effectively as a team. They would help each other put without even being asked. Very fast efficient oil changeThis was myFirst visit. The staff was very professional and courteous. The service was prompt and they were attentive to my requirements. I was satisfied with the oil change. The only thing I don't like is feeling pressured to buy another service. When I say I do not want that today I am only there for an oil change, that is what I am there for. The attendant provided great customer service. Service agent was very professional and courteous. Great service. He explained the service on transmission fluid and was happy that it wouldn't be that long and the price was right. Excellent customer service. They showed me my dipstick that relaxed me 1000%. Staying in my car extremely happy and not feeling pressured or technicians checking stuff they weren’t asked to check made a difference also. The workers got the job done. Because I didn't have to get out of my vehicle to get service. The staff was professional, and I trust that my car was taken care of properly. I did not have to wait and there were no pressure for extra services. Attention to detail and a very professional staff! quick, friendly, parts available, military discounts. Had to wait 45 minutes to get in service center. There were a sufficient number of vehicles, but the staff was also standing around and too chatty with each other making the wait list than it had to be. I like that it only took an hour to do. The gentleman who helped me was very thorough and explained everything. He made recommendations and then asked what I'd like to do. He was friendly and competent. Many thanks! Once I was in the Bay Area, I noticed that the employees all worked together to expedite the service. Great service and done quickly. Very informative as well without the pressure of sales. I am always please with “my Valvoline” in Waldorf. Surprisingly, the technicians remembered me from my previous visit. The service was efficient and quick. Additionally, I do like the fact that I am not pressured to buy more services. Did a good job and told me everything I needed done. Fast professional service like in the old days; check all the fluids and tire pressure.